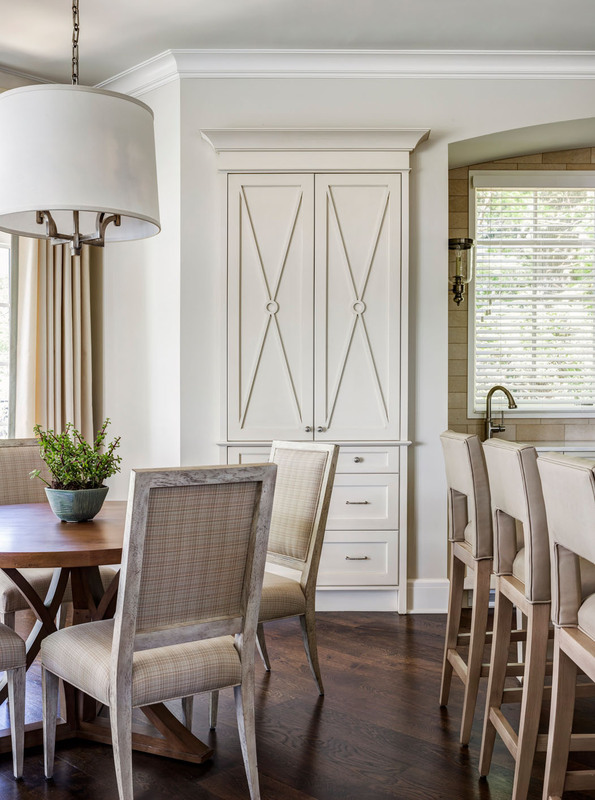 Originally constructed in the mid-1970s as a contemporary home with white stucco exterior and minimal architectural detail, this ambitious home renovation was a metamorphosis in design. 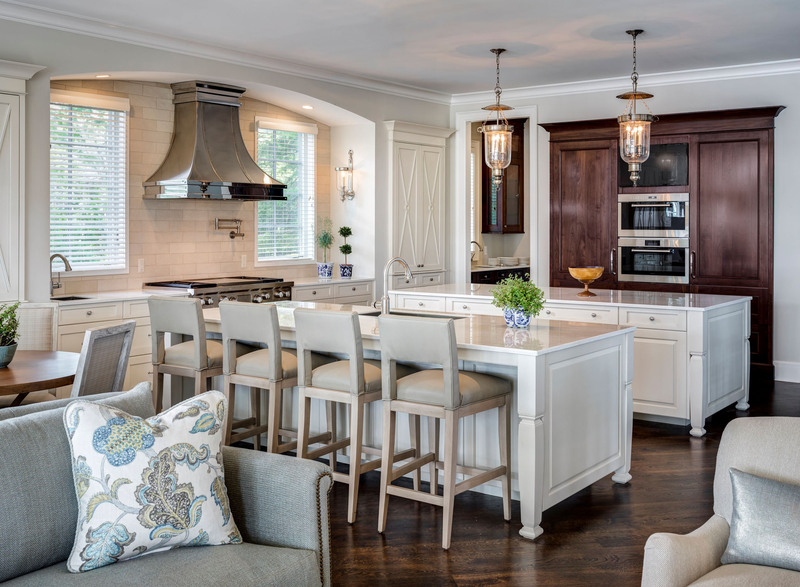 With traditional tastes and great vision, the home was completely transformed, retaining only the original outline of the former structure. 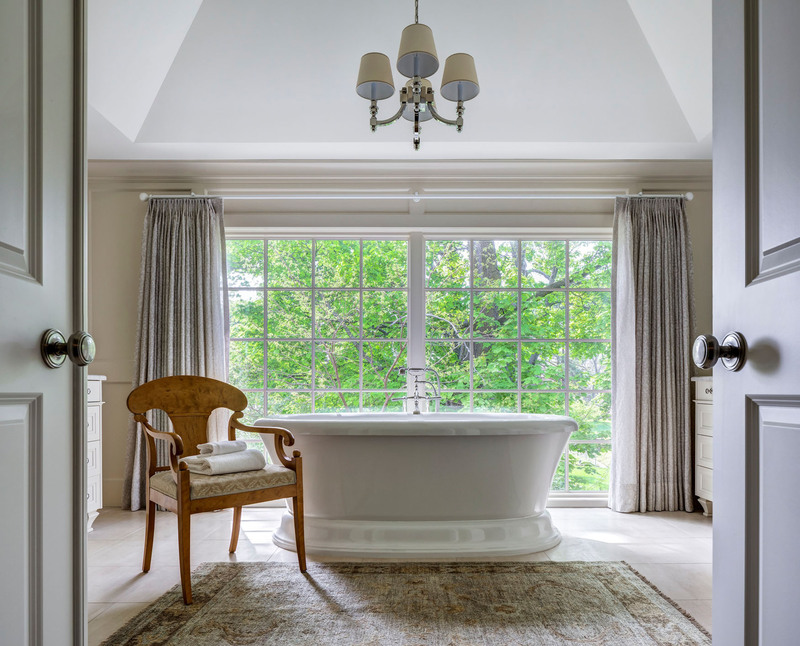 For the exterior, classic materials were selected, such as cedar shake siding, full-range limestone blocks, boxed-column support beams and true divided casement windows, while interior rooms were fitted with large cove crown molding, tall baseboards and coffee-brown oak floors. 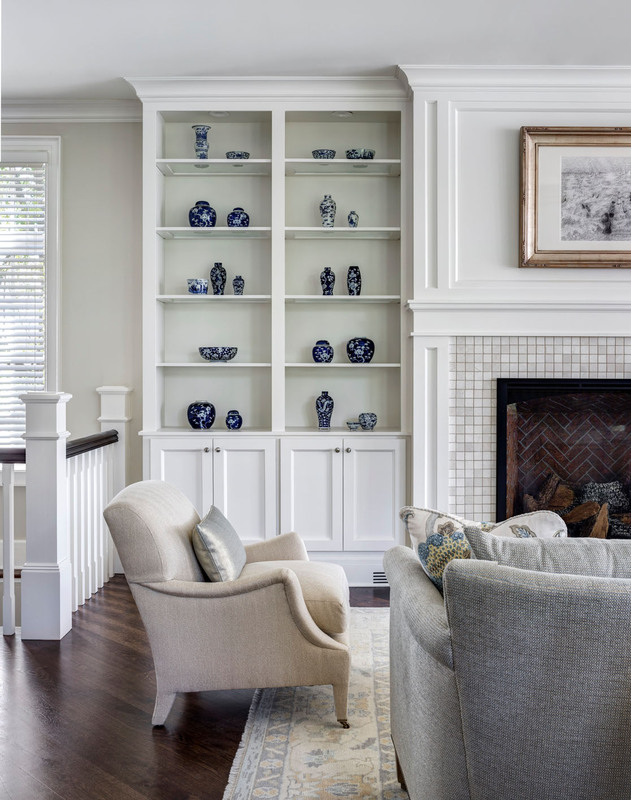 Throughout the home, custom designed fireplace surrounds, paneled walls and built-in cabinets were drafted with classic architectural details in mind. 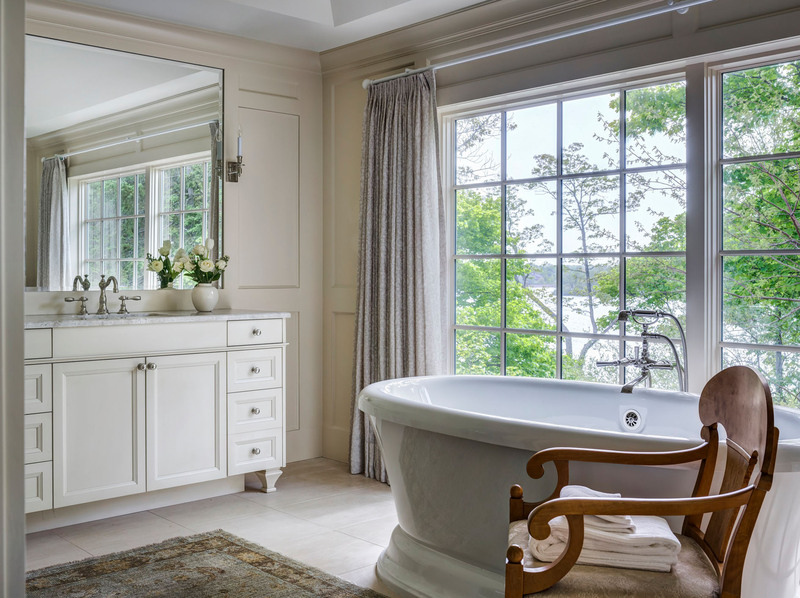 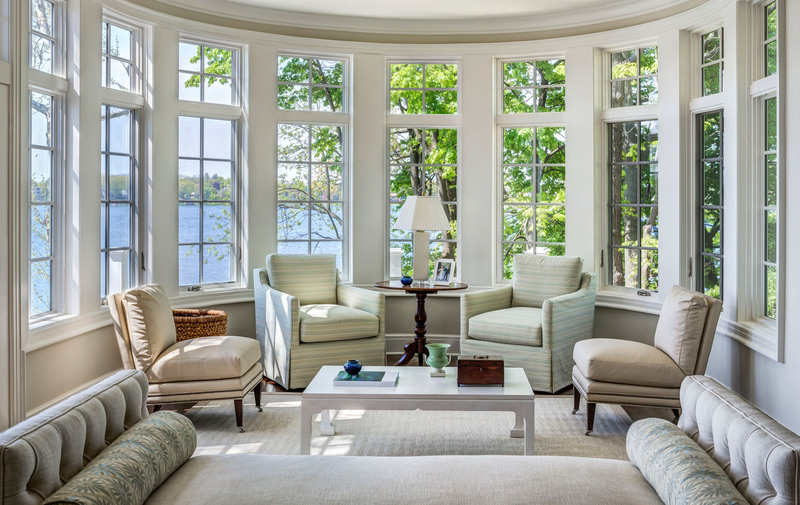 Offering panoramic views of the lake beyond, a warm, neutral color palette was selected; allowing the natural colors of the water and foliage to take center stage. 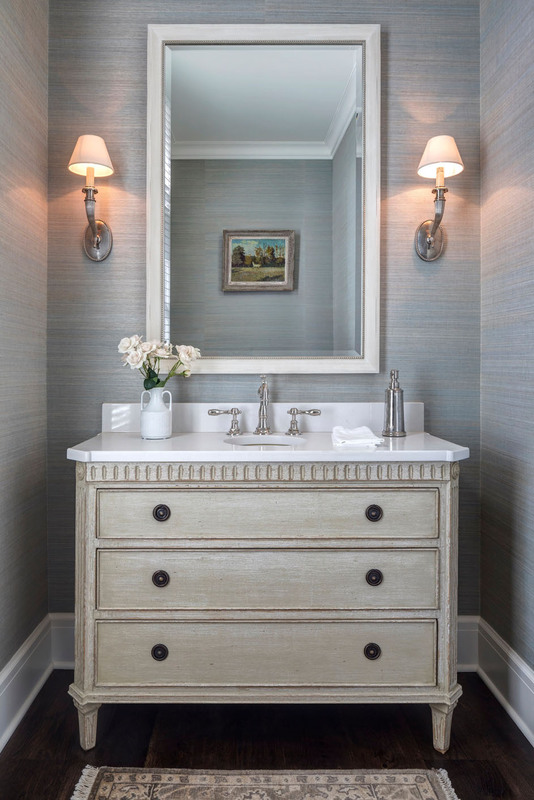 Here, large graphic patterns and loud bursts of color were traded for subtle textures and subdued, organic tones. 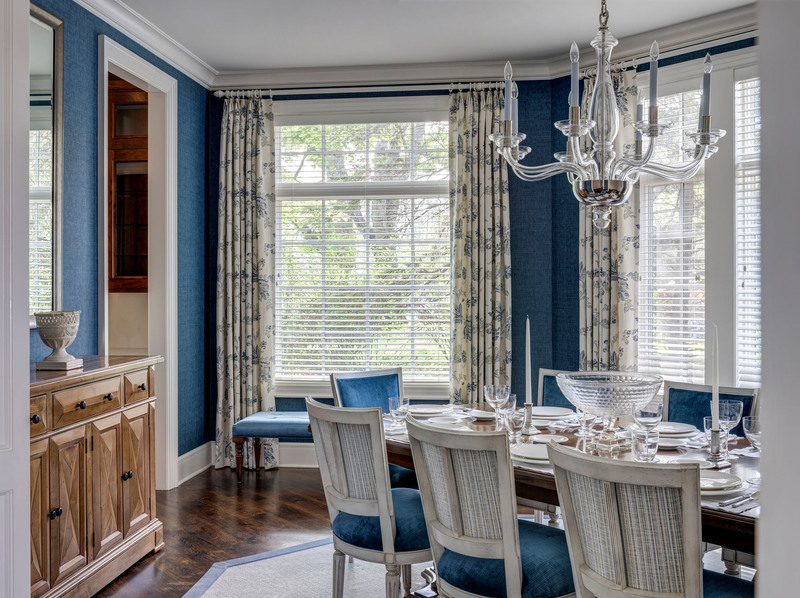 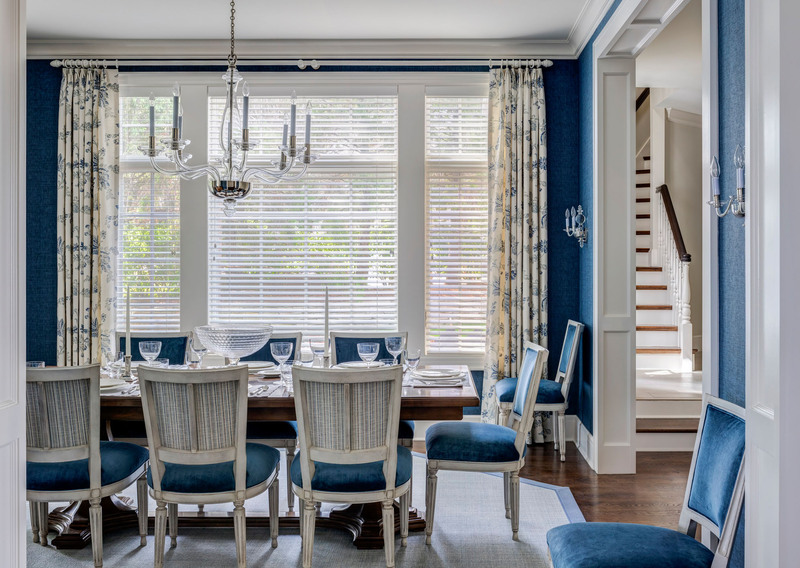 Accents of blue and blue-green play up the nature of the home as a classic lake house. 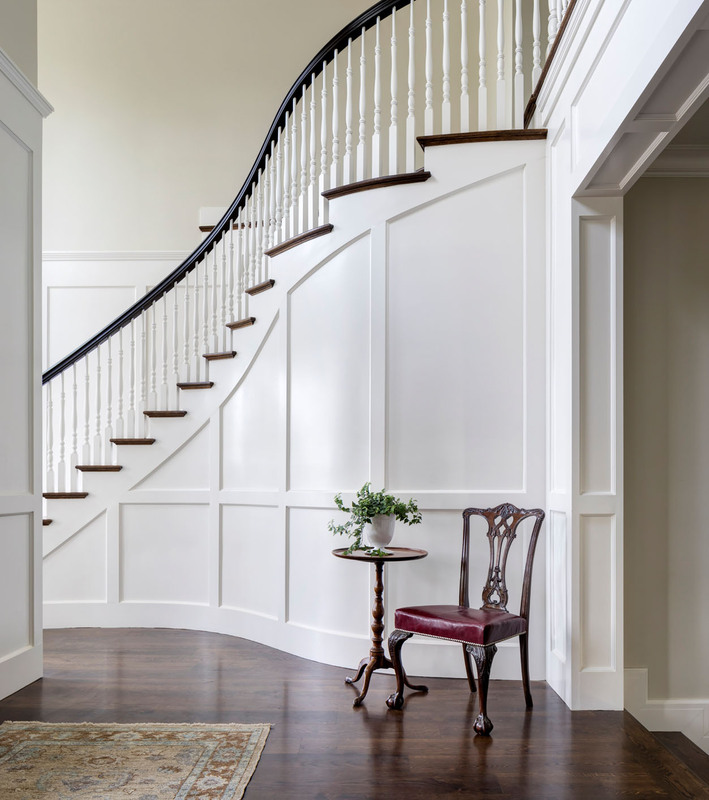 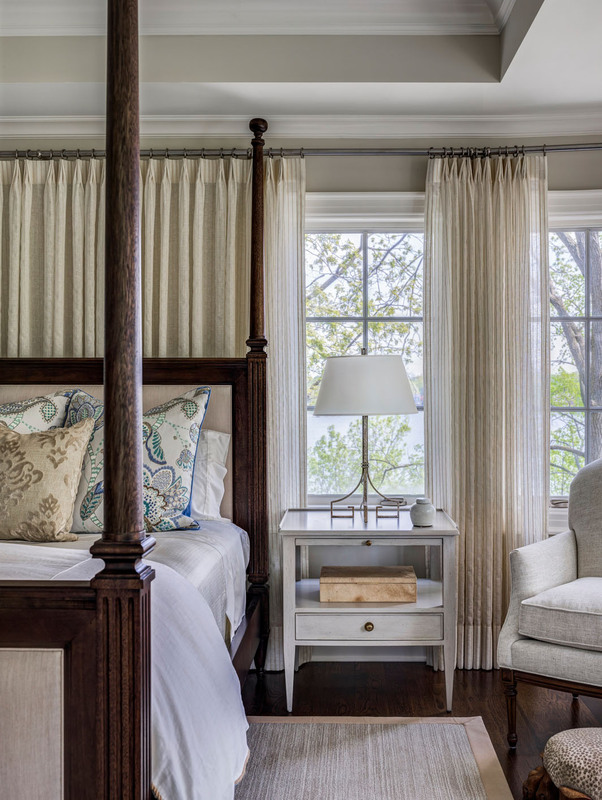 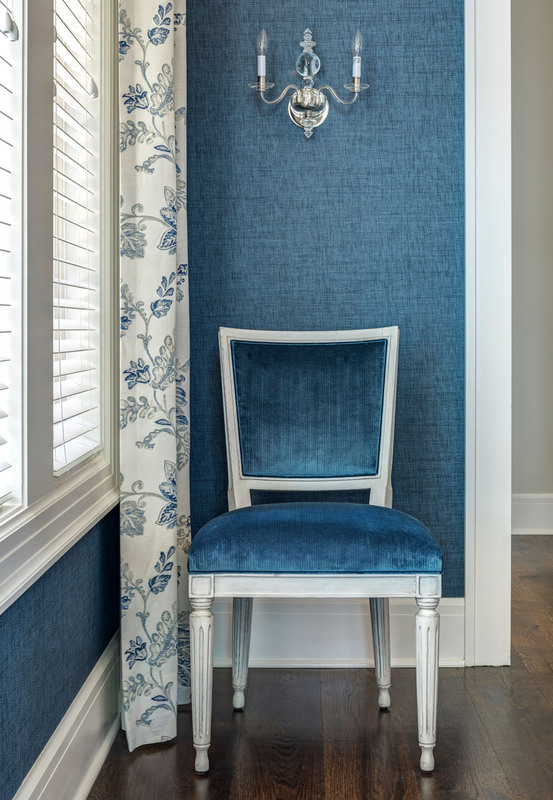 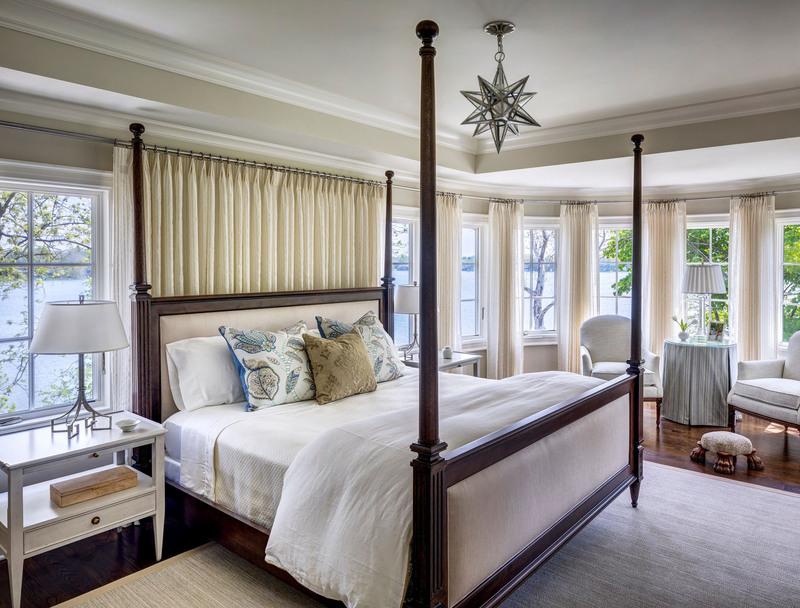 Traditional in style, yet restrained in design, the rooms in the home boast a mix of neutral upholstery, painted millwork, warm wood tones and antique accents.